At 10am on Sunday 21st July, 48 teams of 16 rowers - plus a drummer - will take to the River Thames to race against each other in long medieval boats in Kingston’s upon Thames’ 13th annual Dragon Boat Challenge. Family run Estate Agents Rochills, based in Walton on Thames, will be entering their team, The Rochills Rockitts, in support of Kingston Young Carers. Kingston Young Carers Project supports 5-18 year olds who have caring responsibilities for a family member, maybe a parent or sibling, who is suffering with a physical or mental disability, or learning difficulties. The Project provides a place for these young people to have a break, have fun, socialise with peers and receive one to one sessions with trained carers. Apart from supporting a worthwhile charity, you’ll be guaranteed a great day out on the river, with riverside entertainment, stalls and sideshows, a riverside pub and lots of food. With all the colourful boats racing past all day, it certainly will be an impressive spectacle to watch from Canbury Gardens. Admission for spectators is free and there will be plenty of space for picnics. Marcel Roccia of Rochills said ‘We are very excited to be taking part in the Dragon Boat Challenge. It’s a worthy charity and it will be a fun day out for all the family, so please do sponsor us and come along and cheer us on’. You can sponsor The Rochills Rockitts at www.charitygiving.co.uk/rochills and help towards the fantastic work done by Kingston Young Carers. For further information about Walton on Thames’ independent family run estate agency, Rochills, please visit www.rochills.co.uk or pop in and see them at their offices at 69 High Street, Walton on Thames, where they will be happy to talk to you about their services. 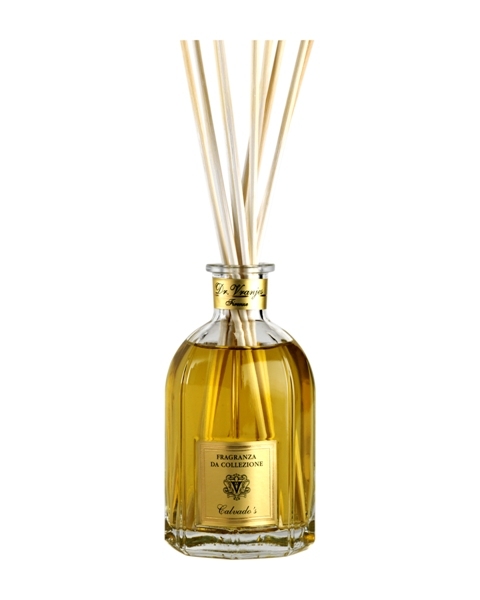 This Fathers Day, what better way to spoil the most special man in your life than with a ‘Calvados’ room diffuser from Dr. Vranjes ‘Collection’ range? Perfect, for a den, office or study, the fragrance calls to mind the apple orchards of Normandy, capturing the scent of its namesake liqueur to perfection. Created by blending pure essence of apple with aromatic notes of oak wood and fresh blossoms this luxury scent is presented in a beautiful and original glass bottle inspired by the lines of the famous “Duomo”, Florence’s Cathedral of Santa Maria di Fiori - the City’s symbol of pride. This gift not only looks beautiful but also smells divine and is a perfect way to remember this special day for months to come. 250ml £59.50 and 500ml £90.00. The Dr Vranjes range is available at Senti in Wimbledon Village, The Conran Shop and is currently the number one selling home fragrance brand at Harrods. To find your nearest stockist call Senti on 0208 947 5179 or visit www.senti.co.uk.